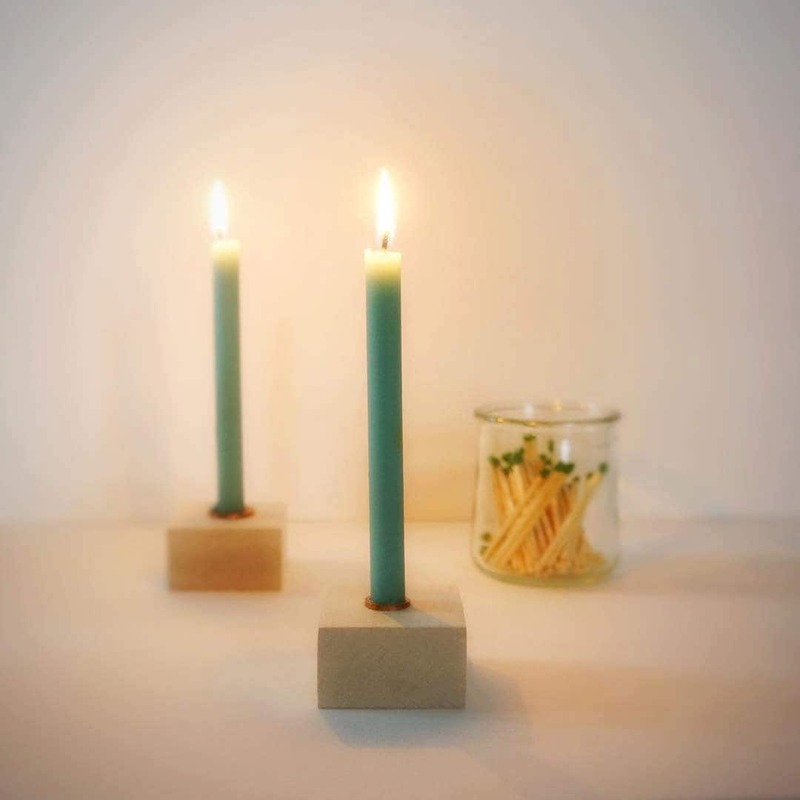 These slender, elegant beeswax tapers are a unique alternative to the standard dinner table candle. 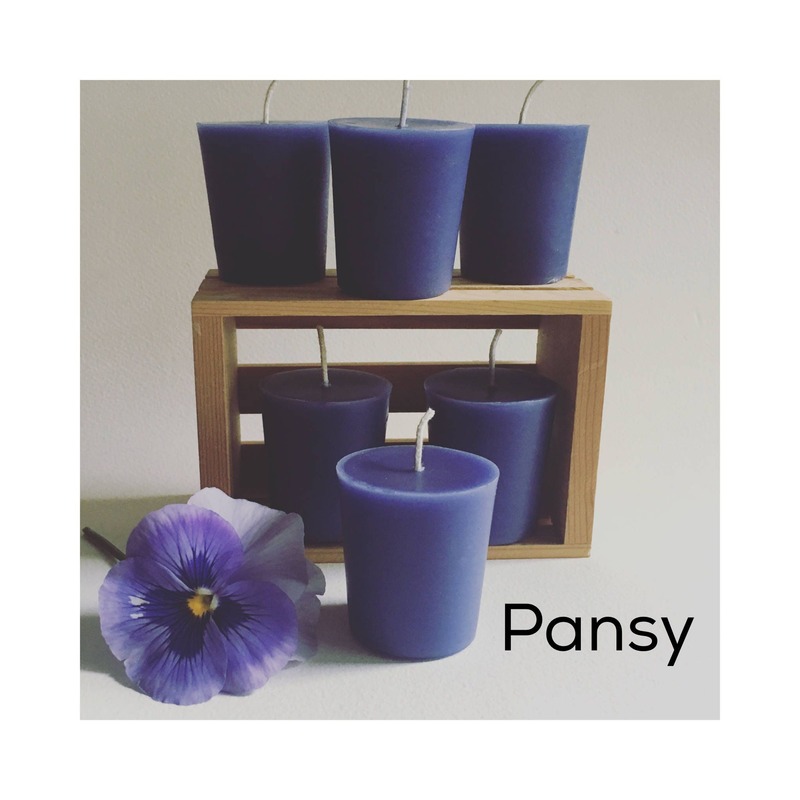 The base measures 1/2" (half inch), and will not fit snugly in most standard size candle holders, so please measure before ordering! 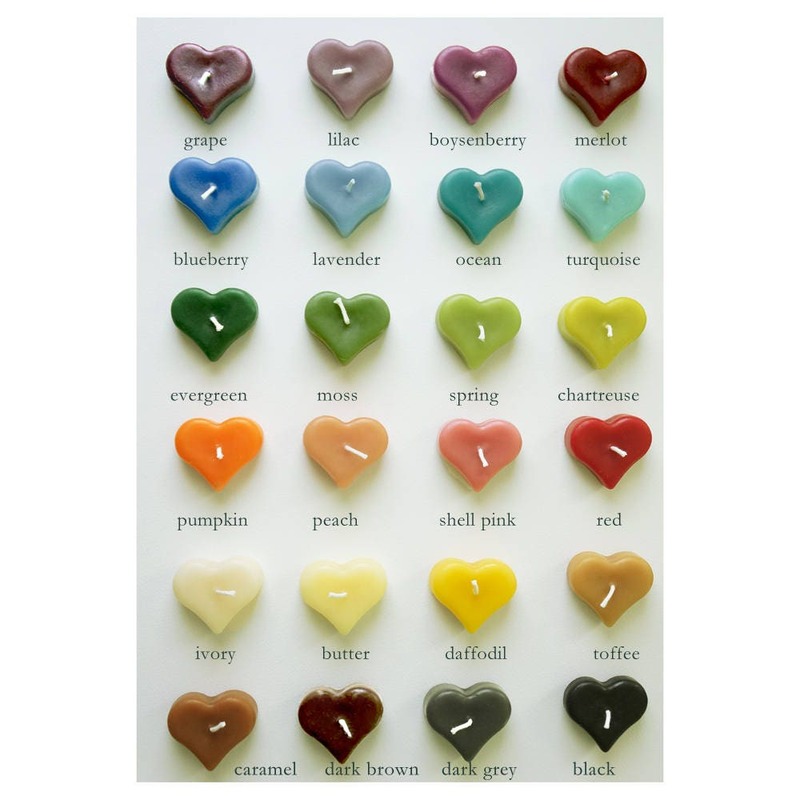 Tapered candles in first picture are shown in unbleached, undyed, "Natural Ivory." See other photos for more colors. - Each pair burns approximately 15 hours. 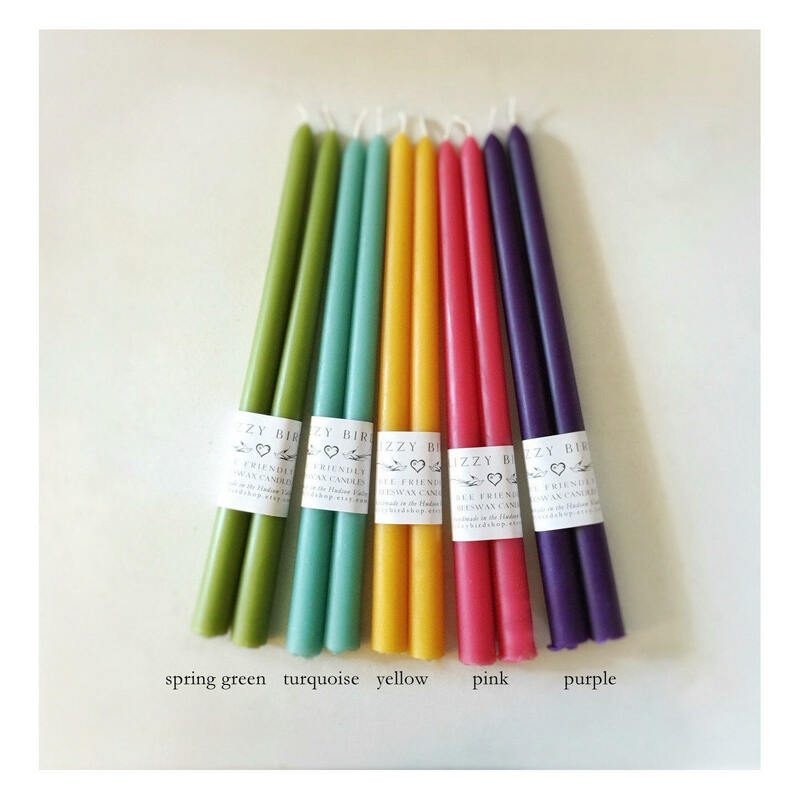 Beautiful candles! Shipping was a bit slow due to personal/health reasons but included a small gift to make up for it. I’ll be sure to order again. 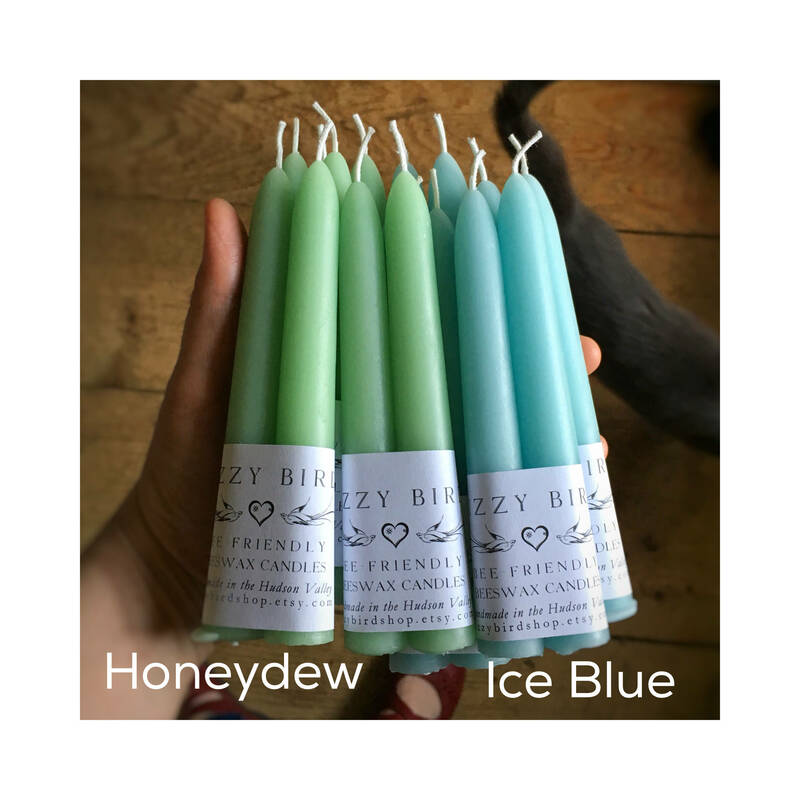 Great quality and beautiful candles. Thank you! I have been assured that my missing items will be tracked down and sent to me. 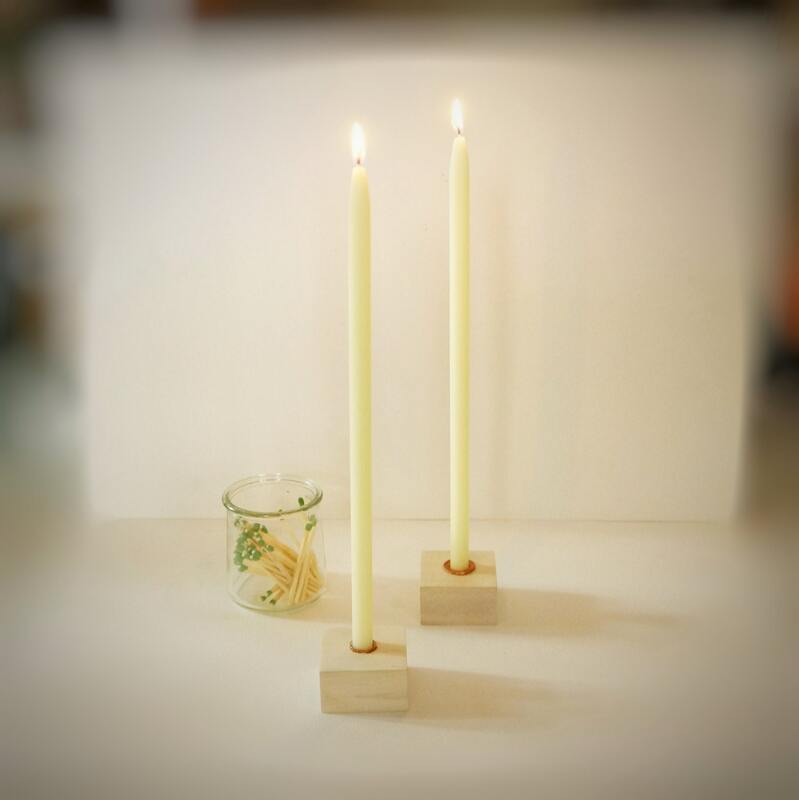 These candles are great and fit perfectly in some handmade candleholders that didn't fit standard taper sizes. The only issue I had was that it took a month to get them. I got a tracking number quickly and then realized about 2 weeks later that they had not arrived. Looked up the tracking number and they still hadn't shipped. I had to reach out to the seller to find out what was going on. I understand that life gets crazy but it would have been nice to get a message explaining the situation instead of having to reach out myself. The seller did answer my messages in a timely manner though, so I appreciate that.